Bitcoin is a digital currency that facilitates instant payment to anyone, anywhere, worldwide. It is acknowledged as a mode of payout in several businesses along with PayPal and credit cards. Payment through cheques and money order takes time and Bitcoin is exceedingly becoming popular as another payment option among the web hosting providers. Bitcoin thwarts the problems encountered in the traditional modes of payment: high cost and time consuming. THCServers : Web hosting plans start from $ 1.95 per month and they include easy to use control panel, Softaculous, DDOS Protection and free nightly backups. 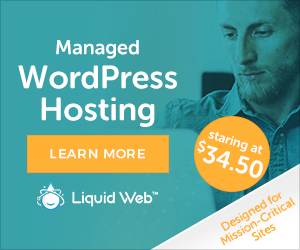 Reseller hosting provides 10 domains and cPanel/WHM Included with prices starting from $ 3.95 per month. Accepted mode of payments include PayPal, Credit Cards and Bitcoin. Arvixe : This popular web hosting provider provides plenty of space and bandwidth, 6 domains or unlimited, free domain registration, 24/7 support, cPanel Control Panel, unlimited email, databases and subdomains, 99.9% uptime and 60 day money back guarantee. Prices start from as low as $ 4.00 per month. Namecheap : Shared hosting consists of popular plan known as Professional and the prices start from $ 19.88 per year. Its features include 50 GB RAID protection, unlimited bandwidth and hosting of up to 10 websites. Namecheap accepts Bitcoin mode of payment. co.uk : Web hosting costs from £ 2.00 per month with instant setup, UK Data Centre, 1-Click Install WordPress and cPanel control panel whereas Reseller cost starts from £6.00/month with White Label, cPanel & WHM and with an option of hosting and selling multiple websites. Hostsailor : VPS hosting plan starts from $ 2.99 per month with features like flexible upgrading / easy scalability, located in Netherlands and Romania, free incoming bandwidth, reverse DNS, no setup fees or contracts, Full Remote Management and Control and uptime backed up by SLA. On one hand, usage of Bitcoin makes it stress-free for customers of all classifications to pay. On the other hand, a substantial cost of hosting business that included payment quality and fraud control would seem to be hard to monitor and manage with BitCoin.